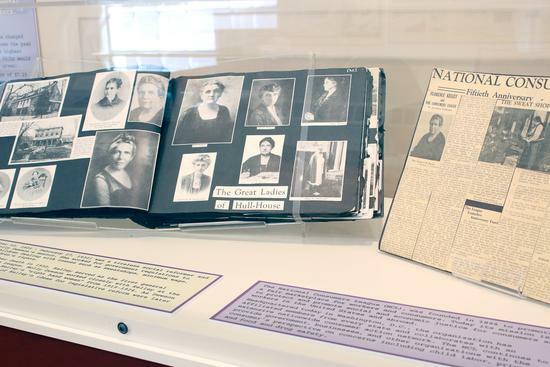 The women of Castine, past and present, were celebrated as the feature display at the Castine Historical Society during the Touring Through Time weekend on July 28 and 29. Among the women highlighted were Molly Dewson, Polly Porter, Lana Gold and Holly Perry (married in Castine in 2011), and Doris Russell. Residents and visitors alike stopped in at the historical society over the course of the weekend. 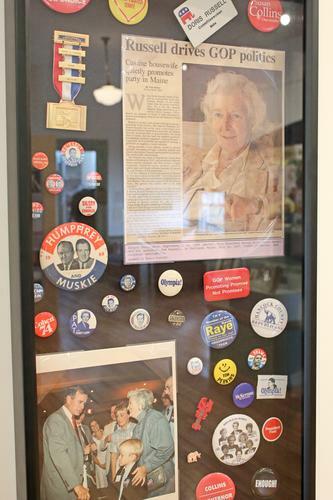 Well-known Castine resident Doris Russell is celebrated for her political work as part of the Women of Castine display at the Castine Historical Society. Women involved with the Castine Hull House— part of a late 1880s social movement to house immigrants on the East Coast and in middle portions of the United States—are celebrated at the Castine Historical Society. 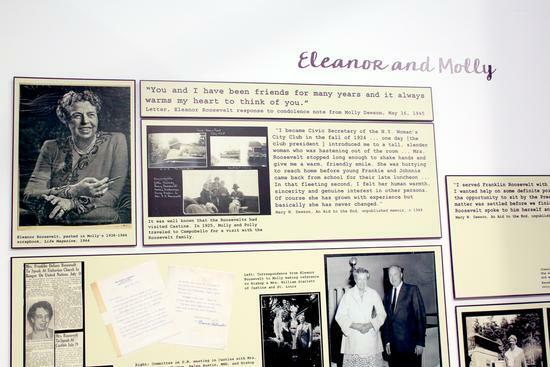 First Lady Eleanor Roosevelt, who was a longtime friend of Molly Dewson, was a frequent visitor to Castine.